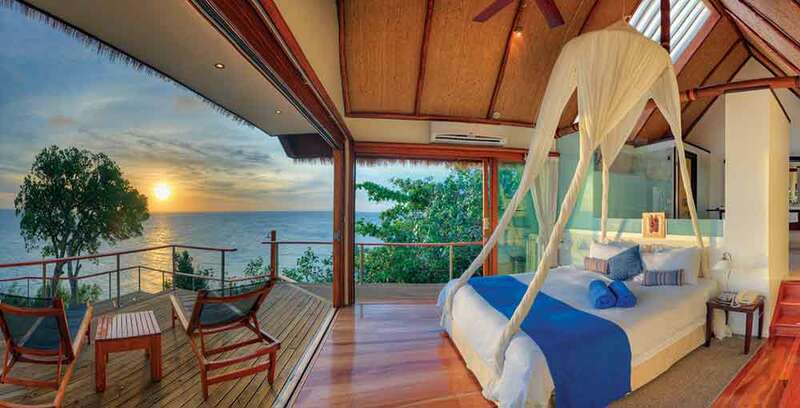 Royal Davui Resort is an exclusive five-star adults-only sanctuary situated in Fiji's spectacular Beqa Lagoon. 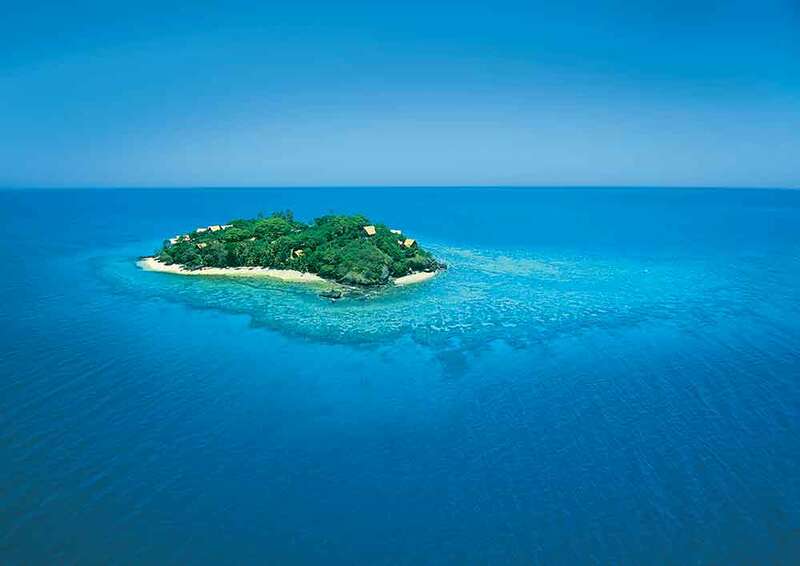 Sixteen exquisitely appointed Vales nestle around ten acres of lush tropical landscape allowing for no more than 32 guests on the island at any one time, ensuring the ultimate in privacy, personal service and relaxation. The resort’s elegant tropical design is purposely casual. 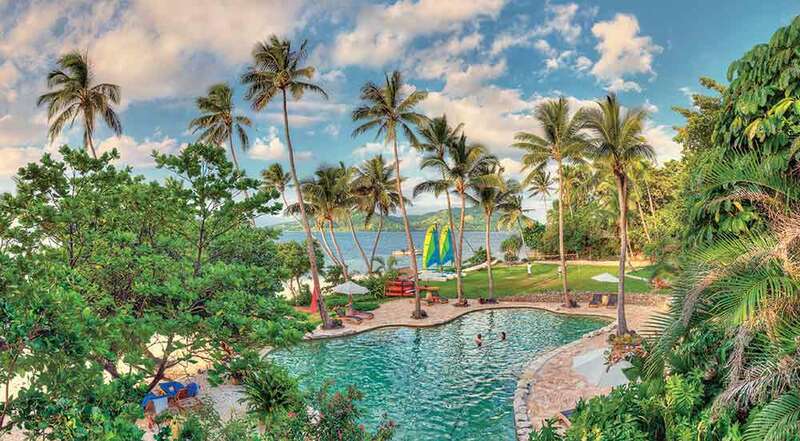 The 9 award-winning Deluxe Vales dot the Eastern and Southern sides of Royal Davui and feature thatched roofs, air conditioning, tropical décor, soaring ceilings, separate living room and bedroom and private plunge pool. 6 Premium Vales are sitting at irregular angles on the Western and Eastern sides of the island. Paved paths braid through broad-leafed banana trees, vivid heliconia and ancient trees arriving at your sanctuary. 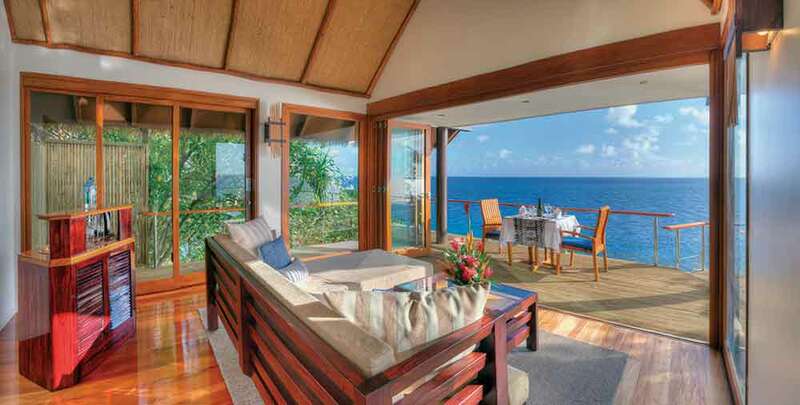 Premium Vales have more contemporary feel than the Fijian norm and also feature private plunge pools. 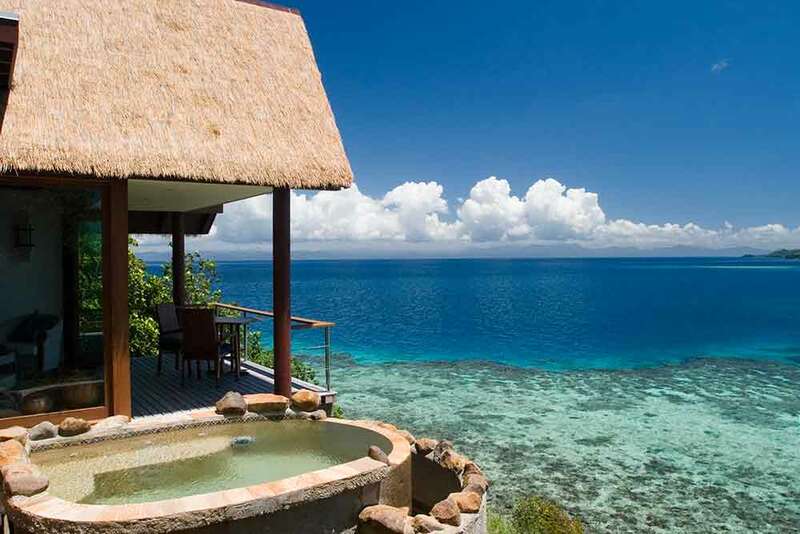 The Davui Suite is the most secluded Vale on Royal Davui. Double hand carved solid mahogany doors lead into an in-door garden with a path meandering down toward your plunge pool and sleeping pavilion. On the higher level sits living room with extensive glass and French doors overlooking the point of the Davui Marine Reserve. Menus at Royal Davui are designed daily using fresh, seasonal ingredients. 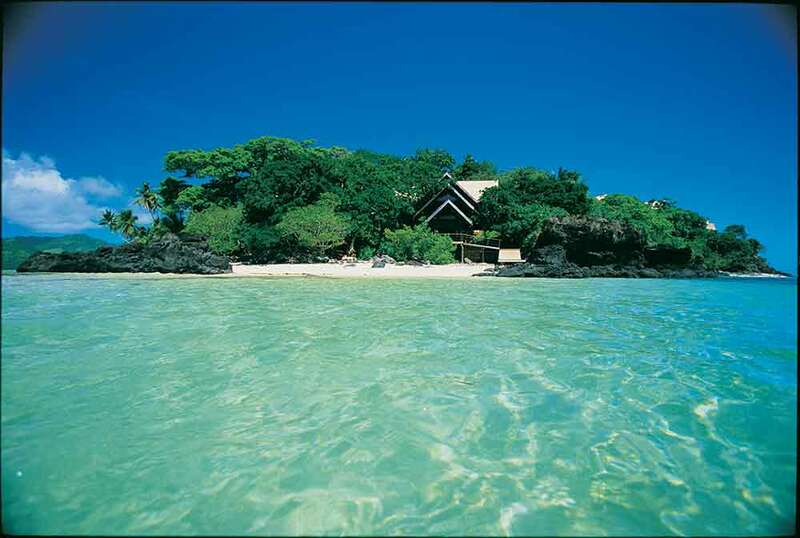 Seafood plays a large part in the Fijian diet, with fish being offered on the menu daily. 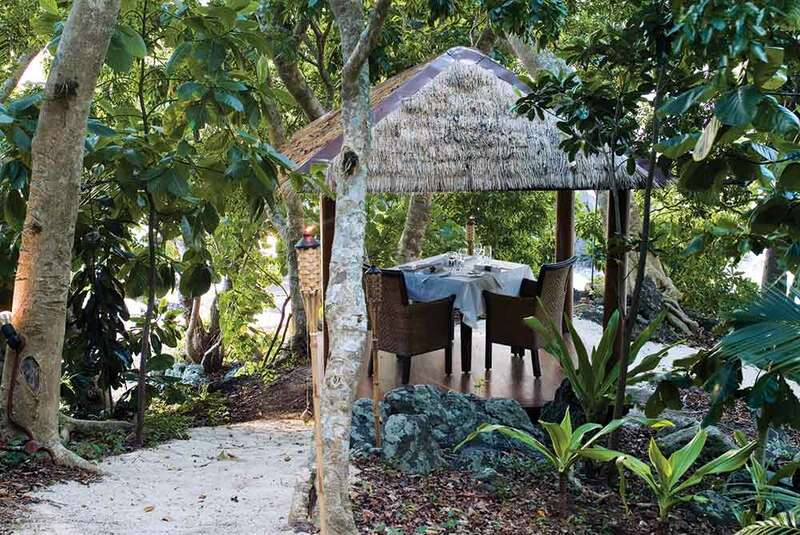 Apart from the resort’s restaurant, there are also secluded settings for private dining.